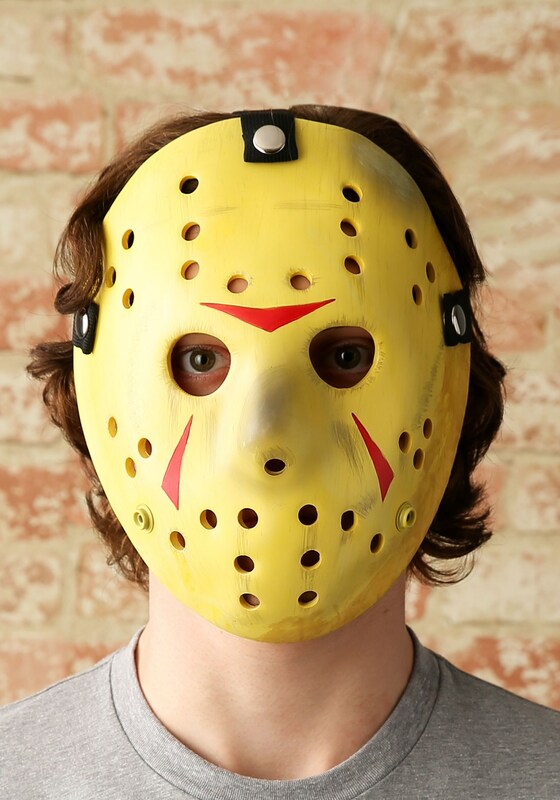 If you're a Friday the 13th enthusiast then you can probably tell right where Jason was in his reign of terror when he dropped this off at our warehouse. It was sometime after he cast off his sack mask with one hole cut in it (not great for visibility when you're trying to stalk your next victim) and sometime before he got that nasty headshot, those axes can really mess up your look! Whether you're heading out to a summer camp, picturesque little town, or Halloween party in this look it's sure to make people jump out of their skins. Well, maybe you ought to give them a heads up, you don't want to be mean. Before you jump out from behind that corner start playing some ominous music from a Bluetooth speaker. That way you can wait until the music builds before jumping out. It works in the movies, we don't see why it wouldn't work in real life. There's nothing better than building up that classic horror movie tension! We're sure your audience will appreciate the frightening finesse!